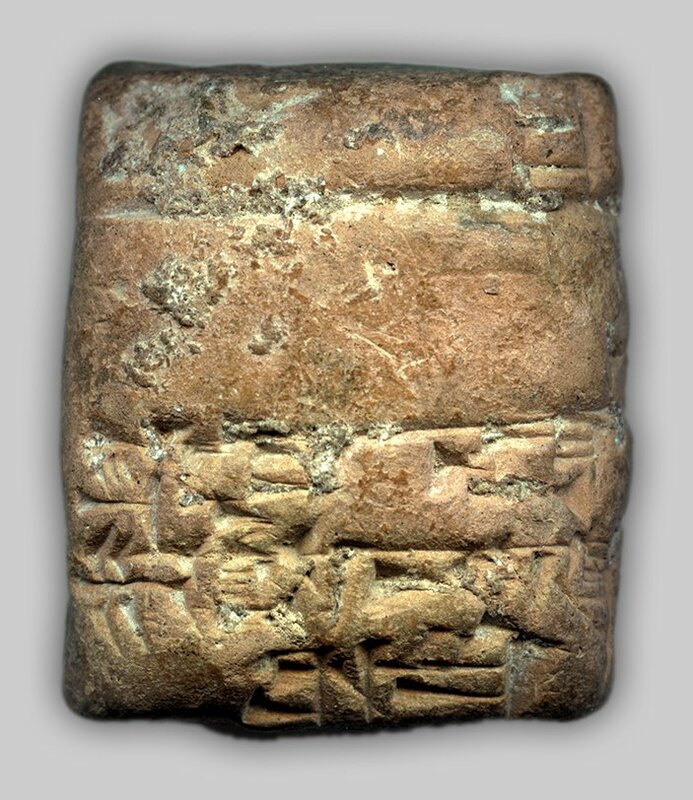 One of the jewels of our collection is the cuneiform tablet. 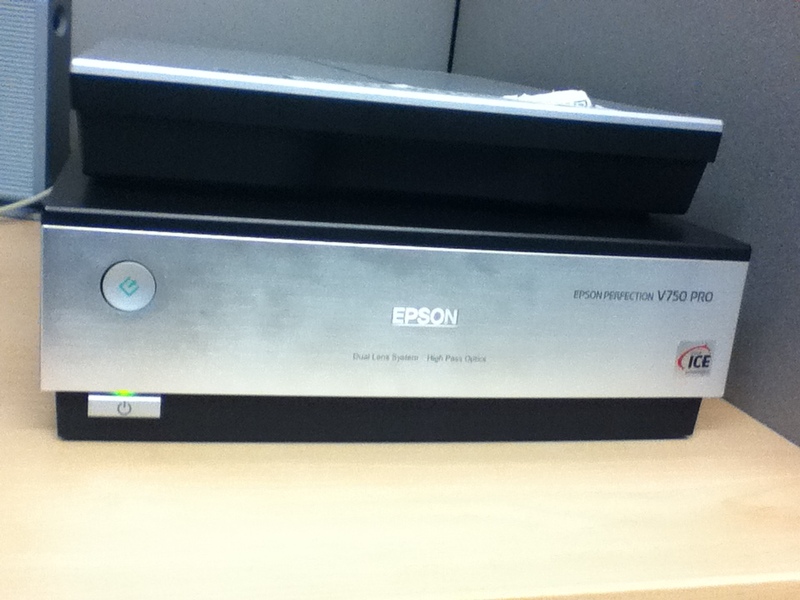 So you may be wondering why it hasn’t made an appearance on any of our promotional products yet. 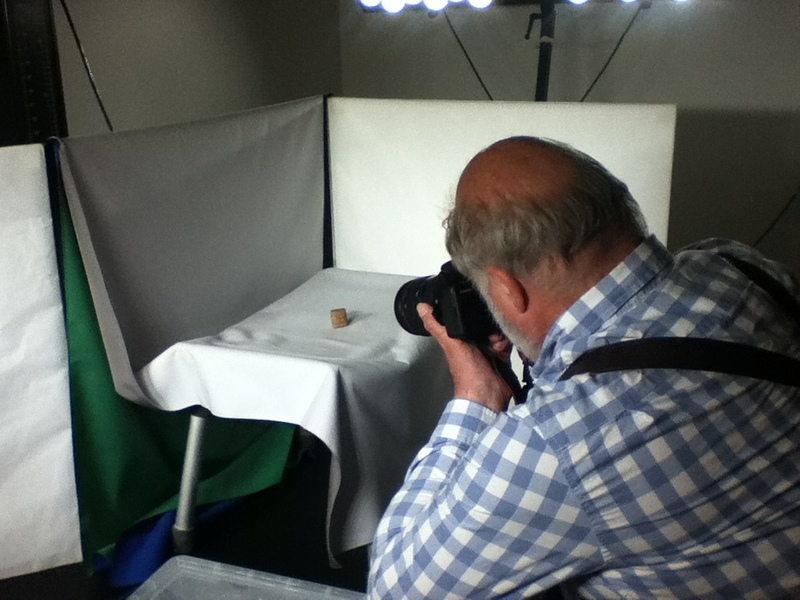 Today Leslie Field and I started photographing some of the Near Eastern artifacts for our Zazzle store. Well, Lesley did the photography and I stood back and learned from the master. The photo set up was working well enough for the cuneiform tablet and the Roman lamp, but when it came time to photograph a couple of the small Egyptian amulets that refused to stand up, we had to improvise…and ended up getting some fantastic results using a simple Epson flatbed scanner. 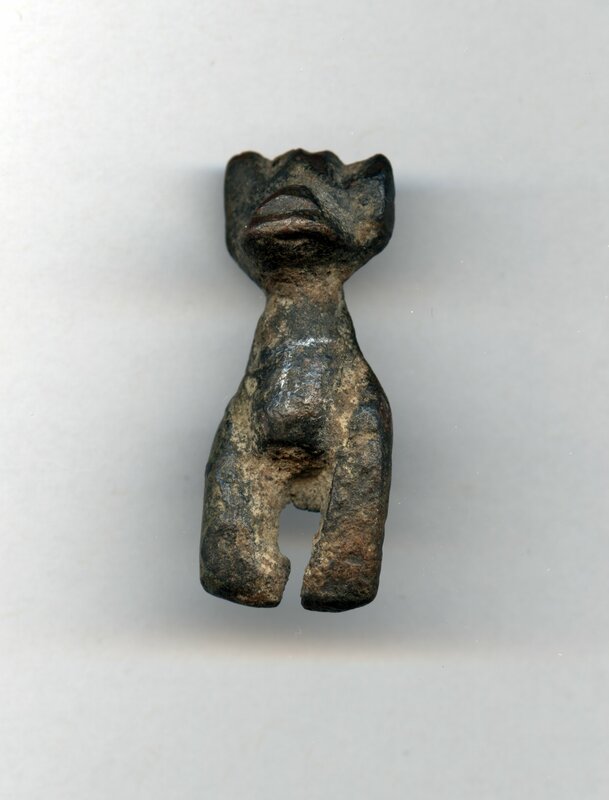 Egyptian amulet #1: 3.8 cm in height, takes the form of an animal with upright ears and a prominent flat snout, two legs, and a kind of tang projecting out from the back. The material is some kind of metal, possibly iron or bronze. 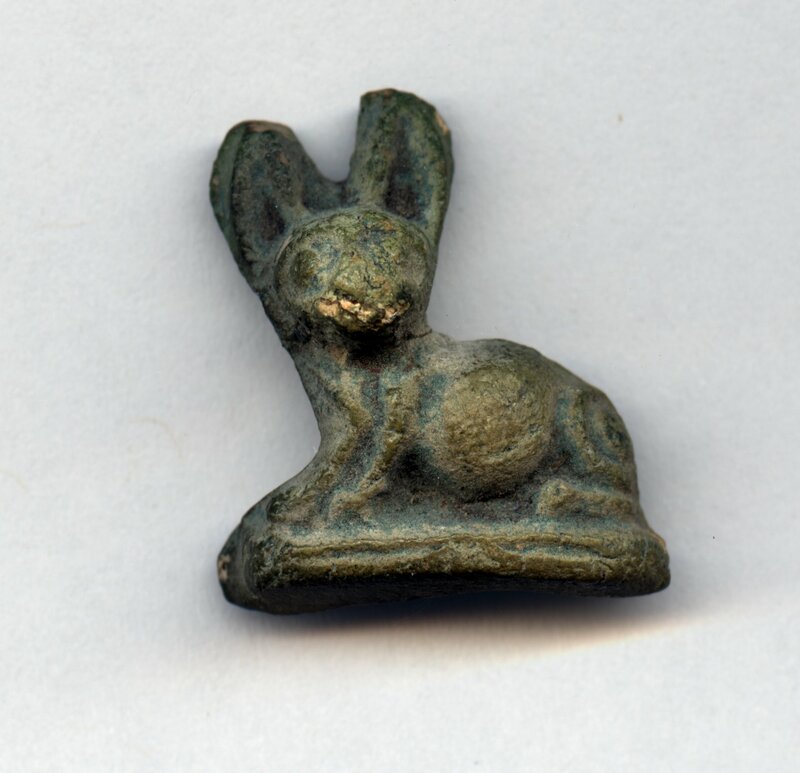 Egyptian amulet #2: 2.1 cm in height, takes the form of a rabbit with longish ears, and its body in profile. A small hole has been drilled from one side of the head to the other below the ears. The image appears to have been carved out of a pale green stone, possibly chlorite or soapstone. In fact, it worked so well, we scanned the cuneiform tablet as well, and the results were so good we’re using these images for our posters (this is not the original image, its a much smaller jpg file). It will take a little while to finish editing the final image, so please check our Zazzle store early next week.